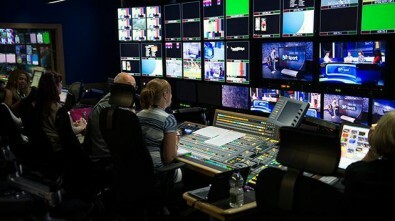 The main control room at The Switch’s London facility can manage REMI productions across the globe. 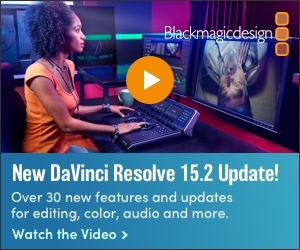 There’s been a lot of talk about the resource efficiencies related to remote operations for live production, but the cost of bandwidth to connect all of the disparate locations continues to make this way of working prohibitive for most second-tier producers. While alternately called a remote-integration (REMI) model REMI and “At Home,” the practice involves producing a live event by separating the technical crew from the actual playing field, yet they are securely connected via fiber or IP networks as if they were in the next room or parked right outside a venue. 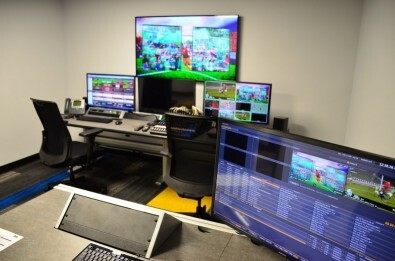 Using this new workflow, the football pitch could be in Germany while the director and TD sit in an IP-connected control room in Belgium—as production company Skynet iMotion Activities, in Belgium, now does regularly. Multiple productions for live coverage of the recent World Cup tournament in Russia were controlled and broadcast live (with a slight delay) from studios such as those of Fox Sports in California, as the games were played thousands of miles away. And ESPN’s use of a so-called “GREMI” model — in which graphics and some replay operators are located in Bristol, Connecticut, the company’s headquarters, while the equipment remains on a truck onsite somewhere else—continues to gain traction due to efficiencies in cost and human resources. As the list of events produced this way continues to grow, however, the often exorbitant cost of establishing those dedicated wide area network (WAN) connections between sites is an unspoken hurdle many today—particularly second- or third-tier live productions—find hard to overcome, or even talk about. That, of course, is in addition to ensuring that you get all of the audio, video, timing and control aspects right. One of the REMI control rooms at ESPN headquarters in Bristol, Conn., which can connect with remote resources via a few key strokes. “For some content properties that may have low (or no) rights fees, and minimal distribution and/or revenue associated with it, low cost production and low cost transmission services may be acceptable,” said Richard Wolf, executive vice present of marketing & corporate communications at The Switch, a global video transport services provider. “We know these types of properties as “C” and “D” tier events, where public internet tools for transport may offer acceptable risk/reward qualities for bandwidth services. "However, for many high-value content properties, the risks of relying on public internet tools may not be acceptable,” he said. After a number of “no comment on cost” replies from several industry sources well versed in the matter, The Broadcast Bridge sought out pubic reports on the subject. Most said WAN pricing was dependent upon location and calculated on a per project or monthly subscription basis. As one example of the bandwidth costs, a market research firm called TeleGeography released a report in 2016 that stated that a 10 Gbps connection between Los Angeles and Tokyo could be as high as $50,000 a month. That’s for an uncompressed signal path. 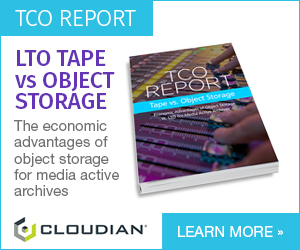 Compression (using HEVC) helps reduce that cost. Vista Worldlink’s production facility in Ft. Lauderdale, FL takes a clean feed and integrates graphics and other elements for distribution. The company has completed hundreds of at-home–produced events for the United States Soccer League, National Women’s Soccer League, and others. Wolf's company provides an “On-Net” presence at a customer location that can accommodate numerous transmit and receive video paths as needed. The company also helps its customers figure out the data requirements to support IP/File based workflows for comms, graphics, editing and more. 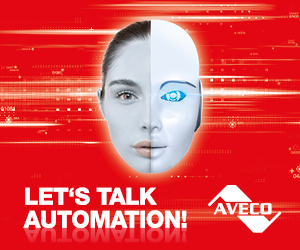 Andreas Hilmer, Director of Marketing & Communications at Lawo, said his company has helped many customers establish REMI connections in the most efficient way. This has included Arista Networks data switches, Lawo V_matrix virtualized routing, processing and multiviewing cores, Lawo VSM (Virtual Studio Manager) IP broadcast control system, 336 channels of EVS XT VIA (78 operator stations), a Telex Adam IP Comms system and a Meinberg redundant PTP station reference. The remote facilities included Sony XVS 8000 IP switchers, Lawo mc2 96 audio consoles, a Boland Communications UHD/HDR monitor wall and Ross Video Newt edge IP to SDI converters. Skynet iMotion Activities is a Belgian company that produces soccer telecasts for the country’s first and second division games. In Brussels they have built an all-IP control room for that’s equipped with traditional and IP-based technology. 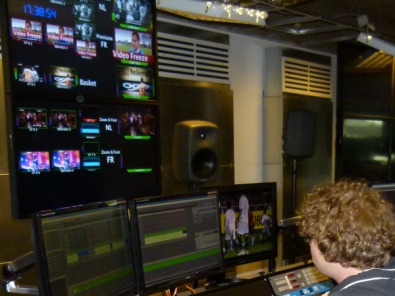 They cover eight stadiums in second division and stadiums in first division across the region, which are all connected via IP, while the actual control room production is done in Belgium. Only the cameras are on site. The director, EVS operator and everything else are located in Brussels. At the root of a successful REMI (At Home) operation is the bandwidth and levels of service that can meet expectations. Bandwidth and technology providers have architected the right networks, with their own flavors of remote production capabilities, to meet the needs of the dynamic marketplace. “The devil is in the details,” said Lawo’s Hilmer. “Just sending video over IP is the easy part! With the industry now comfortable with various types of “cloud” approaches, where all signals are in a data center, individual production team members and production assets (mobile trucks and fixed studios) can be located anywhere as long as there is a reliable and fast connectivity. However the real key to successful REMI production is the ability for all sites to access a reliable, high-speed, low-latency telecom network. And that can be expensive.